I have a love-hate relationship with bookstores. I love walking through the aisles and aisles of books and looking at all the book covers. I love sitting down in a big cushy chair and skimming through a potentially good book. Bookstores make me happy. I belong in a bookstore. Some visits inspire and motivate me to write. And then some visits make me feel guilty and lazy because I’m not writing. When I see a collection of books written by the same author, I become a little jealous and sad because I want that. I want a collection of my books sitting on the shelves. And I would totally be OK if my books were even in the bargain bin or at a dollar store somewhere. For now, I’m fine with visiting bookstores because I’m writing again. I’m inspired and motivated. I’m happy to study other authors’ book covers. I don’t know how to explain my huge fascination with book covers. I love to study them. Then again, I’ve always loved pictures. I love taking them and flipping through photo albums. Are book covers any different from photos or scrapbook pages? Not really. Book covers and scrapbook pages are about a good design with photos and words — kind of like a front page of a newspaper. Aha! My copying editor skills serve a purpose after all! Yay! 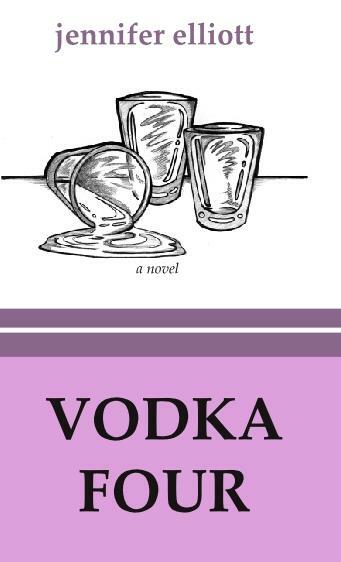 I will admit that I’m not super crazy about the cover for “Vodka Four.” I’m happy with the results, but I also think it could’ve been better. I didn’t like the former publishing company’s cover and thought I could design a better one. At the time when the book was in the final stages, I was pretty spastic and didn’t do too much research or spend too much time designing the cover. I didn’t really slow down to think that designing a book cover was kind of like working on a newspaper front page. The thought briefly crossed my mind, but I was too nervous and spastic to really think about it. The book’s re-release will have a new cover, which I’m working on. Isn't this book cover pretty? I loooooove it so much. A good book cover motivates me to write because I want THAT cover for my book. I want a book with a cover design that makes me happy to sit on bookshelves or displayed in e-readers. Honestly, what other people think of the cover doesn’t matter to me. As long as I love the cover, then I’m happy and proud. When I see an amazing book cover, I see the light at the end of the tunnel. When the writing is complete, the beautiful, beautiful book cover is waiting. With a good story and beautiful cover, I can’t wait to share my work with others. Speaking of sharing, I have a beautiful cover for my new book, “The Beautiful Bach Boys.” At the moment, this is the first draft of the cover. I’m sure minor changes here and there will take place before the January release, but for the most part, I love it. 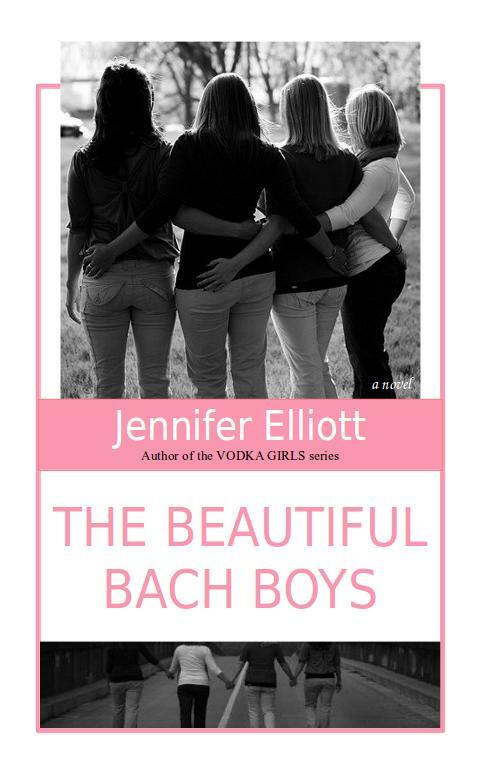 The story is about four sisters known as the Bach Boys because of their nicknames — Brian, Dell, Luke, and Mark. People assumed their father gave them boy nicknames because he wanted sons. Dealing with a quiet and stubborn father and wondering why their mother left them caused strained relationships among the sisters and with their father. The book official summary will be much better than the one I just provided. But for the most part, I think the snippet pretty much explains what the book is about. Just looking at the cover makes me happy and excited. Now, if you’ll excuse me, I have some work to do. Yeah, that’s a fun picture, and an interesting summary of the book. Thanks for sharing!